Offers the full Stick n tissue build experience. 1x Hyper Cub water-slide decal sheet. 1x Plastic propeller and spinner. 1x Lightweight metal case gearbox. 2x Tissue paper sheets to cover the airframe. 1x Pre-cut clear acetate for windscreen and cabin windows. 1x Modelling clay nose weight. 1x strip wood set for spars and longerons. 1x Translucent acetate sheet to cover the plan. 1x Comprehensive step-by-step instruction manual. 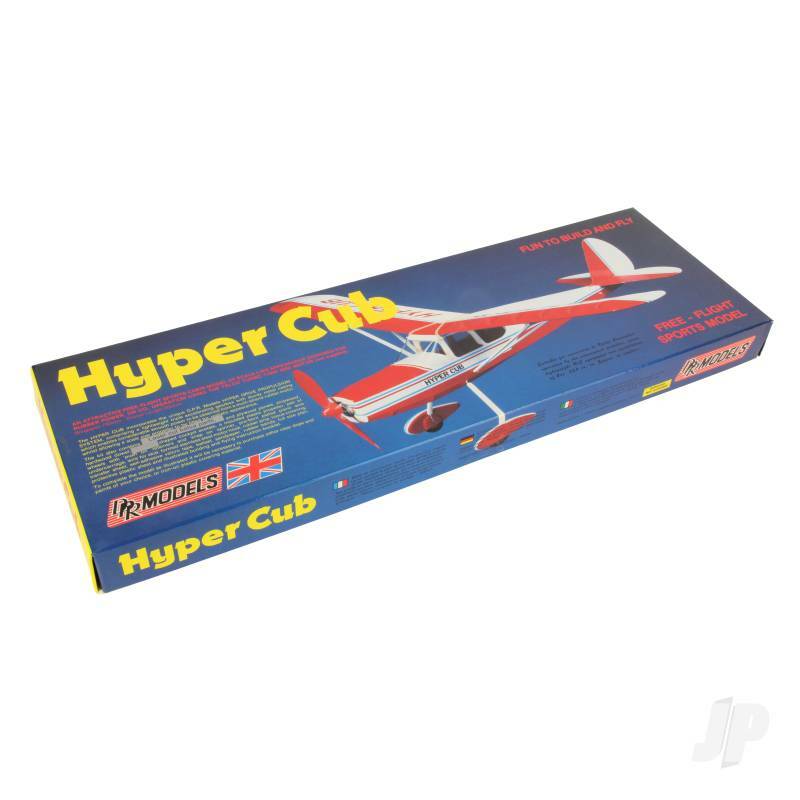 For those who already have a little model-making experience the Hyper Cub offers a quality and immensely satisfying build due in no small part to its crisp laser-cut components, accurate full-size plan and lightweight wood selection. Sporting traditional tissue covering, a geared rubber motor and a banded wing system this is a grass-roots dream machine that offers all the challenges and rewards of stick n tissue aeromodelling. It gets better though! Experienced modellers with a trained eye will already have realised the potential for the Hyper Cub to be converted to electric power and even radio control. The possibilities for this kit are limited only by your imagination and your skill. The Hyper Cub, then, a comfortable build for the relative beginner or a neat challenge for the experienced radio flyer.